For removing all layers of insulation on cables with diameters of ≥25mm. Suitable for longitudinal and circular cutting. Cutting depth can be adjusted from 0~5mm. Replaceable blade (Can be used on both sides). 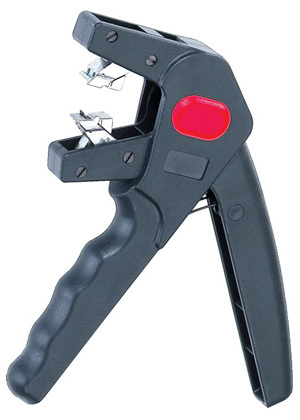 For stripping the plastic or rubber insulation of the singe,multiple cables and wires of 6-16mm2. 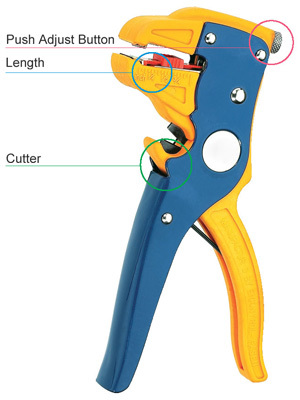 With wire cutter for copper and aluminum wires,multiple strand up to 16mm2, single strand up to 6mm2. 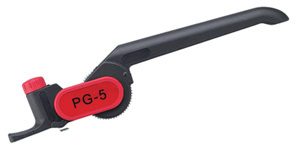 With easy changeable blade, plastic jaws and adjustable length stop. Shock-resistant glass fiber and plastic boby. No damaging of the conductor core, long life time. 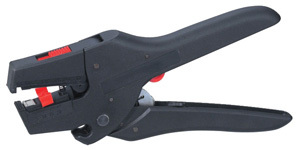 For stripping the plastic or rubber insulation of the singe,multiple cables and wires of 0.08-6mm2. Precise blade design without damaging the conductor cores. 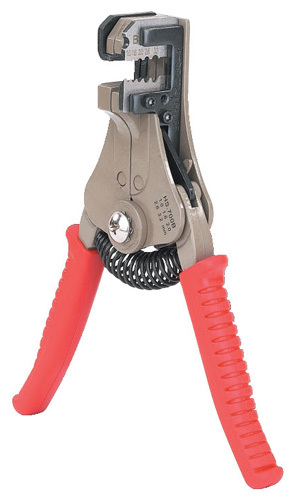 During stripping,the wire is held firm by clamping jaws. With a spring returns the stripper to the starting position.